I've spent thousands of hours giving workshops on using technology to teach. Exhausting but always practical and focused on allowing technology to be helpful and in the background as teachers teach and help students achieve their set language based objectives. It's not about the tech or twinkle but about the learning. During the workshops, as usual, I go with "the group" and get off topic and take sidebars / untrodden paths. That's my style. But I always hit (for the most part) the core ideas and examples that I share through my blogs, community and work on EnglishCentral. I always urge teachers to "muck about" and that it really isn't as hard as we think. Yes, it takes time but it pays off big time. It is more about the paradigm shift that needs to occur in each of us - as the above video highlights so well. So here are my core, top 5 tips for teachers using technology in their teaching. #1 Use technology only if it meets the lesson's language objective and enhances learning. This may seem self evident but too often I think, teachers do bring in technology just for the buzz and thrill. They don't ask hard enough questions like, "is it the best way to help students acquire "x" language point?" "how long will it take?" "What's the cost/benefit compared to something else? ". Fun, fizz is great but it really isn't the point of education. Engagement in interesting content is (for language learning). Stay focused on the language objectives and make sure any technology you use - really, truly helps that objective be reached. The best way to use technology to meet the language learning needs of students is through a blended approach where tech is used by students individually and for self-directed study that extends the in class curriculum and gives them more practice time. Technology is best used in a small group or one to one - not whole class. #2 Reliability. Make sure it works. Dry run it. The internet is now much better and more reliable than it used to be. But still if you can, use tech offline where possible. It's easy nowadays to download the video for offline use and on my resources community EFL Classroom 2.0, I even provide teachers with direct download ability. Download swf files by right clicking and "save as". Save videos by using http://keepvid.com or audio by using http://vidtomp3.com . At a minimum, play a video all the way through before the lesson, that way it will be in your computer's cache and stream better. Secondly, use video streaming services like EnglishCentral where the whole video caches first and then is fully available for use - you can jump through it instantly. #3 Don't get lost in the forest. Find what works for you and stick with it! Every day, hundreds of new applications, tools come online. I once tried to keep up and try everything. Nothing worse for a teacher! Just find a few tools or sites that you find suitable to your own teaching style and also your student's needs. Master them as much as you can and then use. Use a lot, your students will get used to them and benefit through that. 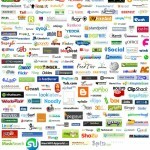 Don't get lost in the forest of logos! #4 Give students control. Get them using technology and make it interactive. More about blended learning and students working directly with their own devices. Technology works because it isn't static like a page of a book. It is dynamic and a teacher should treat it so. Students should be encouraged to use the classroom computer responsibly. Trust me, they can click and advance things just as well as you! If possible, use your school's library computers or computer lab. Get students using sites as homework or making games. Take a more "product" based approach with students - get them creating. Be it videos, games or all else. This truly is the best approach. #5 Make friends with the "tech" guy at school or a competent colleague. Your best friend at school should be the person in charge of the computers. Buy them a gift and get them working on your computer and making it purr. No technology guru around? Make friends with colleagues who have good technology skills and share something you do well in return. Teachers helping teachers. 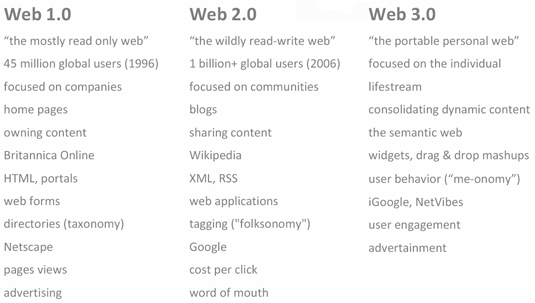 So get out there and start preparing for Web 3.o - the future is already here and it is in the form of our students!